I finally turned in what might be the final proof of Daughter Am I. At least I hope it’s the final one. People often ask how you know when a book is finished — well, if you’re to the point where seeing one more word of the manuscript makes you want to throw it against the wall (or bang your head against the wall, though the first hurts less) then you’re finished. And I passed that point months ago. “Who were James Angus Stuart and Regina DeBrizzi Stuart?” Mary asked, trying to ignore the mounted heads of murdered animals staring down at her from the lawyer’s wood-paneled walls. I also like my characters, though I do wonder about the long-windedness of a couple of them. The eighty-year-olds that I know, however, aren’t as quick with one-liners as are younger folk, and they do tend toward loquaciousness, so I hope readers are as forgiving of my octogenarians as they are of their own. Still, after all these years of researching the Mob, of writing the book, rewriting it, editing it, copyediting it, I am a bit tired of the whole thing and will be glad to see the end of my work. So why am I telling you this? Well, it is a painless way of doing a bit of pre-publishing publicity (painless for you, too, I hope). There is also a moral: when you decide to write a book, make sure it’s one that you can live with for a very, very, very long time. 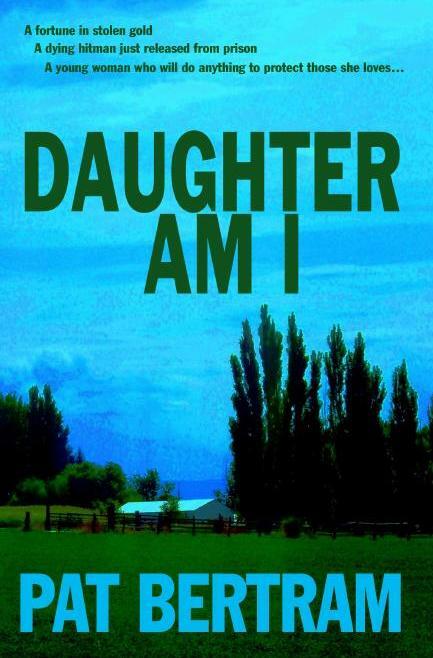 Daughter Am I will be released by Second Wind Publishing in October, 2009. I know exactly what you mean. It seems there’s always one more read through after the final, last, no more edits, once over, do it again, … you know what I mean. I sympathize. I’m all over the place. I love the feeling of being finished, becuz that means the revising and editing has started, after a 2-week vacation. Vacation, meaning I don’t look at the ms or think about it or muse over it or worry about it or… you get the idea. But revising and me have a psychotic relationship. We love/hate but refuse to give up. I’ve had my alter-ego tell me, actually more like yell at me: Enough Already! That’s when I set it aside for months, then pick it up again and edit some more. lol. Makes you wonder how I ever had my first (actually 2nd) book published. I started it in 1991; it was published 2008. Oh, that reminds me, notice how therapist ends in pist? I’m about to start my editing again, so books will metaphorically hit the wall (and files on the computer will be closed and opened and closed and copied to other discs etc….) Nice advertising though. I’m sure the book will be great, and I like your first sentence. « Okay, I Admit It. I’m Jealous.